Dan Pontefract (author, thinker, speaker) understands purpose. He has devoted years of research to understanding employee engagement and organizational culture. So what is purpose at work? It’s your higher calling. And the combination of individuals who know their personal purpose, roles through which they can best serve their organization, and an organization that benefits all stakeholders in an effort to serve society, creates the purpose “sweet spot”. This “sweet spot” is where all three–employees, the greater organization, and society as a whole–reap the benefits. Any employee that can fulfill their personal sense of purpose at work will be engaged, productive, and committed to the success of the organization. Any organization that focuses on purpose, in addition to profit, will be of aid to society. We are pleased to offer you Dan’s CoachingOurselves module for peer-coaching teams entitled, “Building Purpose in Life and Work”. Establish how you can work together towards creating a purpose-and-profit-driven organization. 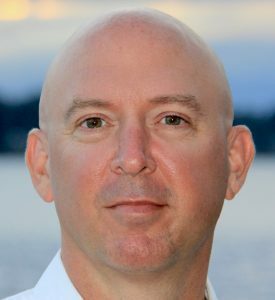 Dan Pontefract is the author of THE PURPOSE EFFECT: Building Meaning in Yourself, Your Role and Your Organization (2016), and FLAT ARMY: Creating a Connected and Engaged Organization (2013). He is Adjunct Professor at the Gustavson School of Business, University of Victoria. He is also Chief Envisioner of TELUS Transformation Office where he helps organizations and leaders who are looking to improve all facets of the ‘future of work’.